Winter is in full swing here in Vancouver, which means the days are short and often filled with grey skies and relentless rain. To help you beat the winter blues, we thought it would be fun (or torturous) to share some of our favourite beaches from around the world. Hey, Canadians can use a little travel inspiration around this time of year! Where is your favourite beach to beat the winter blues? Share your beach in the comments section below, we’d love to hear about it! Too many wonderful photos it really hard to pick for my first visit haha..
All of them are good since you visited all of it. Sigh. I’d go to any one of them RIGHT NOW! I love beaches! This is a great place to unwind and to be more comfortable. Oh man, now I’m really craving some beach time! Great photos, guys. Oh, that Miami photo leans weight to my use-Miami-as-stopover current decision making…. Hah, Do it! Every time we hub through Miami we try to sneak an extra day or two… well worth it! Beautiful beach photos! Much needed for anyone experiencing a cold, dreary or snowy winter! Yea, it is kinda painful, isn’t it? Awesome ! you guys always given me an idea where do we go on our next beach adventure. Many thanks for posting. Yep, it’s quite torturous looking at all those beautiful beaches, and knowing someone has visited all those beaches, it’s criminal !!. My favorite is South Beach and this lovely photo blog was just what I neded to cheer me up in freezinh cold Turkey. There still is hope. 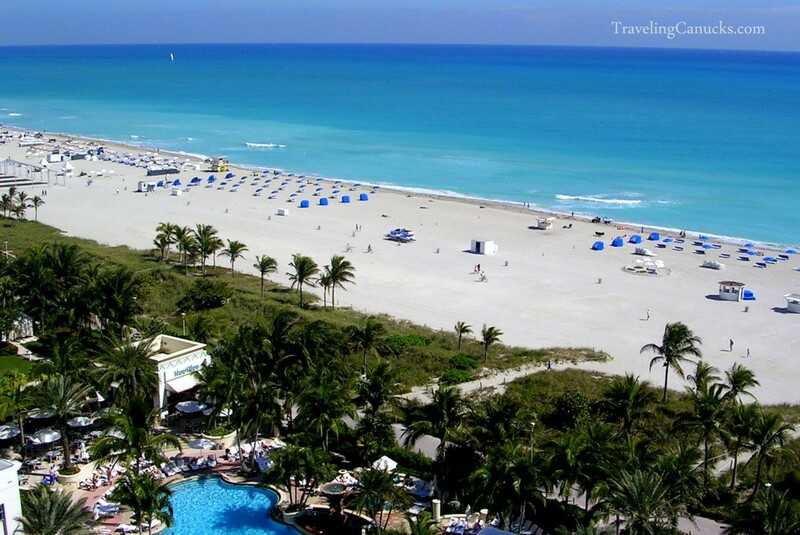 Agreed – South Beach is great! We love the outdoor bars and restaurants on the strip. Yep, about ready to book a flight out of here. Thanks for the inspiration! Now this is a timely post. Dubai suddenly sounds appealing! Oh man, the water in the Gulf is like a hot bath. I don’t think I’ve ever been in ocean water that was so warm. Not refreshing at all, but you can swim for hours! Dubai is hot, hot, hot! They all look amazing, but the one that stands out the most to me is Egypt. That’s just stunning. It’s certainly one of the most memorable. We originally planned to only spend a couple days in Dahab. After two weeks, we had to peel ourselves off those comfy pillows and move on. We will return there one! Great photos! Boracay and Belize look pretty enticing right about now! I’ve been to 7 of the ones on your list. I’ll take any beach when it’s cold and miserable outside. Which one was your favourite Laurel?! There are so many more wonderful places that I need to see in this world. Thank you for the list. You are very welcome Laura – we’re glad you enjoyed the list! Tempting photos these, especially as snow is falling outside my window right now. Dahab looks cool and laidback. One of my fave beaches is Anse Lazio on Praslin Island in the Seychelles. Ah, yes. The Seychelles are on our travel wish list – it looks spectacular! What a FABULOUS post! Now I have the itch to go somewhere with lots of sand and sun. Particularly since Winter decided to come back today. Yucky outside. Your pics were a delightful mini-vacay! The beaches in Crete Greece are some of the most beautiful I have ever seen! I spent a whole month on the beach, and I would die to go back there! After reading this post, It makes me want to book the next cheap trip to somewhere tropical, and escape the cold Canadian winter! This is the of the best beaches of them all wonderful photos. Thanks for posting it. given me idea what should we do next. White Beach is a lot of fun – happy hour all the time! Thank you for making me WAAAAY more anxious to get rid of winter! Lol. I love Isla Mujeres! I’ll be in Punta Cana in April…it’s all that’s keeping me going. Have fun in Punta Cana! Great beach (but very busy). I’m going to Manuel Antonio in 3 weeks! I’m so excited! Go boracay 🙂 perfect place we miss you. It’s certainly one of our favourites! Beautiful pictures – nicely done! You two have been to a lot of beaches. I love beaches but only for a few hours at a time – and would have to say the ones in the Galapagos rank high – especially since there are no biting insects. I think this is making me think more about how it is winter than not. I love the photos though, gives me ideas on lots of places to visit! Awesome – hopefully you’ll be inspired to visit one of these beaches soon! Ah, they all look so so amazing. Langkawi is a great place – lucky to have been there while backpacking through S.E. Asia! The beach in Egypt looks totally amazing though! Have you guys been?? Absolutely – these are all our personal photos. Dahab is one of our favourites, top 5 for sure! Oh…these beach scenes look amazing! Have been to some of the above, but clearly have more to go to as I sit in my kitchen listening to the radio suggest a pile of snow this weekend! 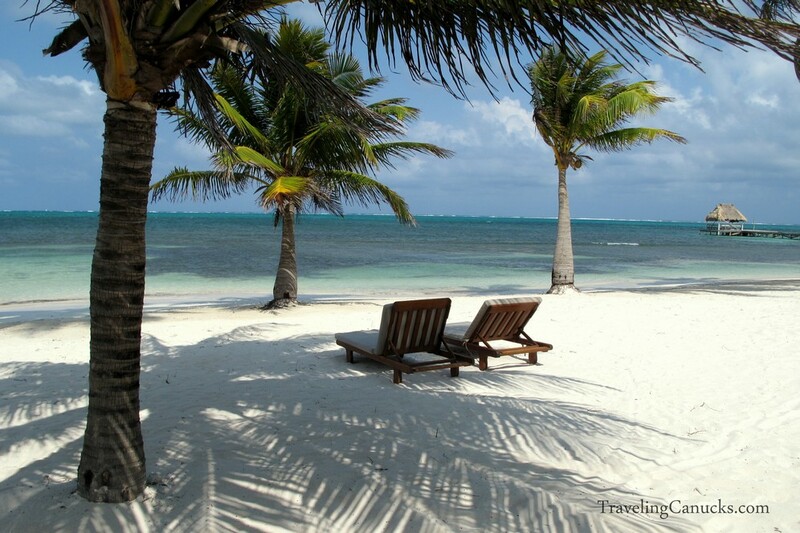 Have a few weeks til hitting the Mayan Riviera for a quick break! Can’t wait. As for my favourite beach – Wamberal Beach in Australia – sssshhhh…it’s a secret – quiet, non touristy beach with stunning sand and a gorgeous walk to the next headland. For tropical bliss – I have to say, torn between Negril in Jamaica and a small, off the beaten path beach in Antigua! Was so great to have the tropical paradise to myself for the day! 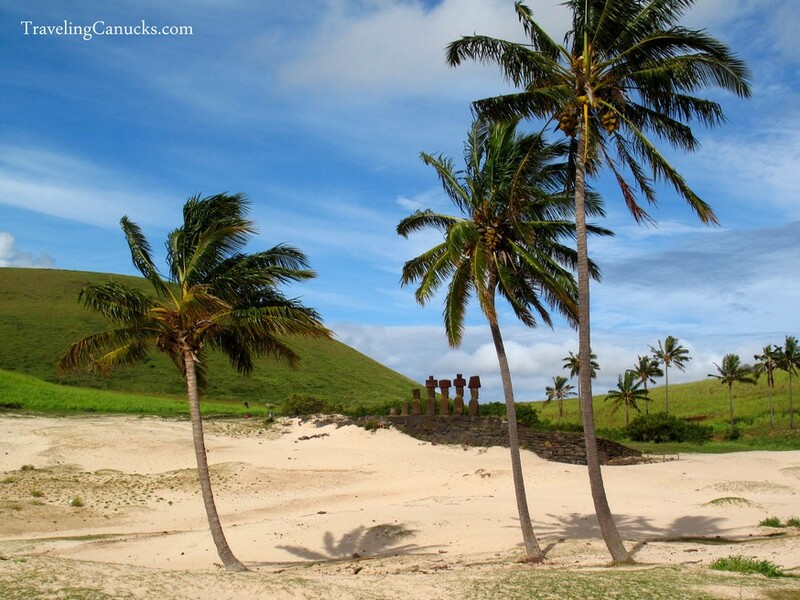 Thanks for sharing your secret beaches AnitaMac! White beach in Boracay is the best for me, it doesn’t look beautiful in that picture but when you are there it is truly beautiful. Anyway there are lot of beaches in them Philippines that will blow your mind and one of this is somewhere in Palawan. I appreciate all the beauties of the following beaches above. Nice share! Glad you like the post Danyelle. Cheers! All the beaches here are good to visit..Good for this summer season..I love swimming..
Ohh, I so need a vacation right now….Anyone of these destinations would make me a very happy camper today. Especially Mexico. I been wanting to visit the ruins for some time and just haven’t made it happen yet. Perhaps later this year will be in the cards. Great pics. My wife and I are on our way to Belize in April! We have to get out of Alaska.. way to cold!! Too much snow as well! You posted a picture from Dahab, Egypt.. I was in Egypt for 3 weeks last year and went to the resort Sharm el Sheikh.. probably one of the most beautiful places.. was only about 54 miles south of Dahab. We didn’t make it to Sharm when we were in Egypt, but we did spend a few weeks in Dahab. One of our favourite “all around” beach towns. Have fun in Belize! Where will you be visiting? 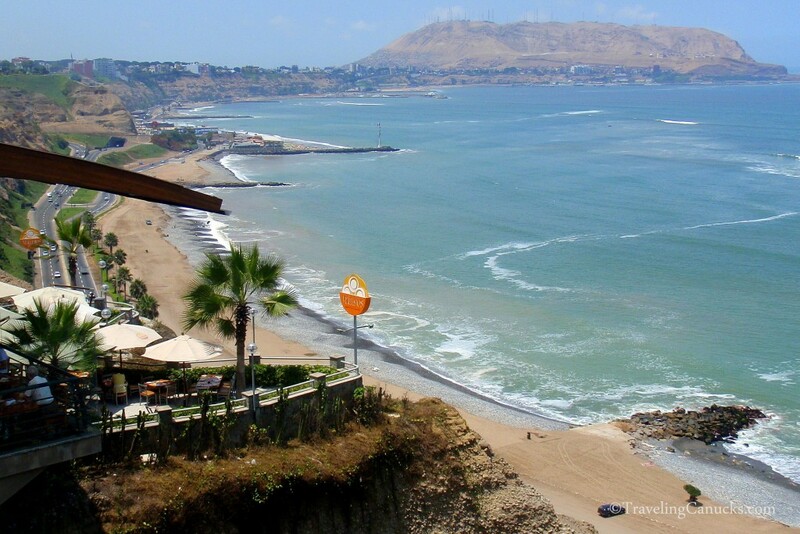 The beach in Lima looks great from the cliffs of Miraflores, but it’s not the nicest beach. The water is quite polluted and it’s dirty. But if you head outside of the city the beaches improve significantly! I like the list alot, even discovered some new beaches here that I’ve yet to experience…. May I recommend Maui and Curacao however? We are planning to visit Maui in June, so it will likely make our second edition! Wow, how impressing! The beaches are so dreamlike. You must be so lucky. Thank you for sharing these impressing shots! You’re very welcome George! We’re happy you enjoyed the photos. Where is your favourite beach Francy? this so great and I love it. Cheers Cley – glad you like the post! All the list in here are really nice to visit..Its fun doing this kind of vacation with your family..Thanks for sharing this to us..
We’re glad that you enjoyed the post Charmaine! This is an amazing post. I loved those pictures and have put them on my priority list. Cheers Adam! Glad you like the post. Such a wonderful photos of beaches here and the following beaches are perfect for summer and I am sure many people love it! yay! Wow these are magnificent! Wonderful Beaches, Perfect for Vacation and Relaxation. The Caribbean beach is really Amazing! Glad you like the post Lyka! Of course we need beaches! I don’t know too many Canadians wearing swimsuits in winter? Where are you from? Wow!! showcase of some great beach views . Thanks for sharing it. I want to explore the Caribbean. What’s the best beach you’ve ever been so far? I just love the Boracay from the Philippines. Been there last year. I was not too impressed with the Amman beach even though I had an enjoyable experience swimming in the sea. I visited mid-March 2012 and had no issues with flies or bugs. Entry was 16JD, towels and locker keys (from the unmarked dark wooden shack) were an additional 1.5JD each + deposit. There are two large unheated pools in addition to the beach. The beach is fairly rocky with some sand but there are numerous plastic pool chairs for use. It and the water was mostly clean of trash. 19JD with towel and locker seemed pretty expensive for a small rocky beach with rundown change and bathroom facilities. Avoid the male showers and use the outdoor ones instead. Agreed – it wasn’t the most impressive beach, but what an incredible place! I really like the 22 beaches. I think I should visit all of ’em. So excited with my vacation. Thanks Shanel – where is your favourite beach? That was a great pictures. I’ve been in Galapagos Islands, Ecuador, and Green Island, located off the coast of Cairns, Australia. That was the best vacation. Hope I can visit all of the beaches you’ve posted. We’re in Thailand! Sad we won’t be heading to Koh Chang, but plenty of other beautiful beaches. 🙂 LOVE the last shot of St Thomas. Stunning! There’s certainly no shortage of incredible beaches in Thailand. We look forward to seeing some pics Kieu! Yes – the beach in St Thomas was amazing. The bright blue colour of the water was unreal. *drool* I’m heading to Puerto Rico one month from now with my lovely girlfriend – it’s our first time there and I’m hoping it’ll help beat this cold Milwaukee weather. 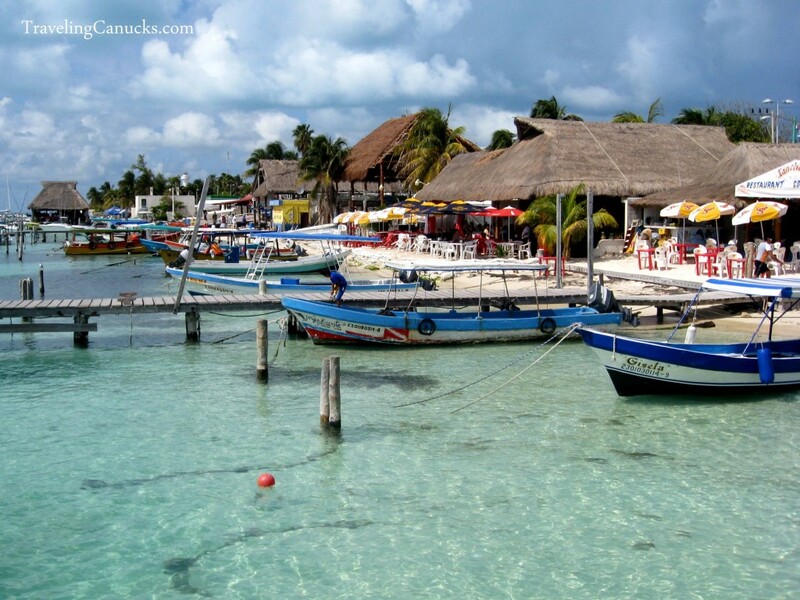 Last year, almost exactly at this time, I went to Tulum and Isla Mujeres and loved both of them. Thanks for the inspiration! Cheers Andy! Have fun in PR! Thanks for the tips I really appreciate it..How I wish I can visit them all..Love swimming.. Thanks for stopping by Tina – where is your favourite beach? Wow, 2 beaches from malaysia 🙂 What about Gold Coast? The Gold Coast is another great spot. We actually have a few photos from our time in Surfers Paradise and Byron Bay – but I forgot about them when making this post! They all look awesome and I think they’re the greatest place to relax. Speaking about affordability, which is more affordable? Of course we also look at the value of money. Nice pictures. Thanks for sharing. Thanks for stopping by Henry. I would say the most affordable beaches in this post are Boracay, Dahab and Langkawi. The most expensive would be Dubai and Green Island in Australia. Excellent list of beaches! I have already added some of them on my list of beaches to visit. Have you been to all of these beautiful beaches? Thank you for a very interesting post. Indeed we have. All of the photos are our personal photos. Where is your favourite beach Eugene? These are such beautiful places. I would love to visit at least one of these beaches once. Boracay, Phillipines would be first on my priority list. Oh my gosh I really need to change my itinerary next time. What beach has you most interested Altha? 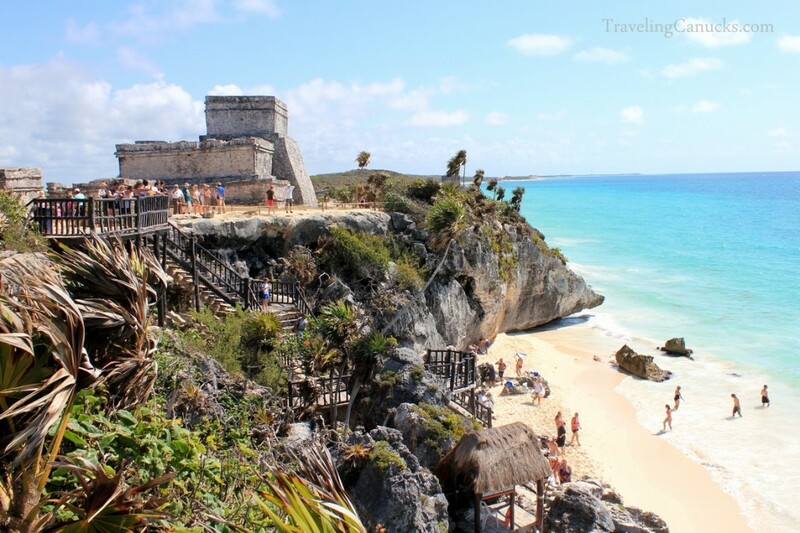 Of all the beaches you have listed, I am dying to visit the Tulum beach in mexico. It is very unique and has got such a beautiful scenery. I will have to tour it one of these fine days. Nice pictures by the way. Thanks Matt, glad you like the photos! Tulum is great. The Mayan temple creates such an amazing backdrop. Beautiful photos! Wish I was there now – instead of being stuck in an office all day! Thanks, glad you like the post! Wow, those are nice places to hang out especially on during a vacation. The Tulum beach is extremely stunning compared to the rest. Thanks Glibert! We’re happy you like the photos! Oh, what a spectacular beaches. Thank you for sharing these beaches list. This list gives me a good guide on where to take my next vacation. We’re happy you like the post! These pictures are breath taking…..i really love them. Lol the split doesn’t look like a very attractive beach at all…kinda reminds me of toronto beaches…Dahab in Egypt is absolutely gorgeous though! It’s not your typically white sandy beach, but it’s got a fun Caribbean vibe. Great spot for hanging out and drinking a few beers! I’ve been to Miraflores, probably the ledge area where your picture was taken, but never at the beach. When in Lima, we visited a beach, I think it was named silencio. I can’t wait to explore more beaches on my upcoming backpacking adventure in South American. I’m sure I’ll gain a few favorites. Have fun – be sure to come back and let us know what beach was your favourite! Oh wow!! So many beautiful beaches. I want to go to each one now. The weather is stormy outside now so this is quite enticing to see this. I have heard a lot about Boracay lately, am really keen to check it out. Thanks Caz, glad you you like the post. 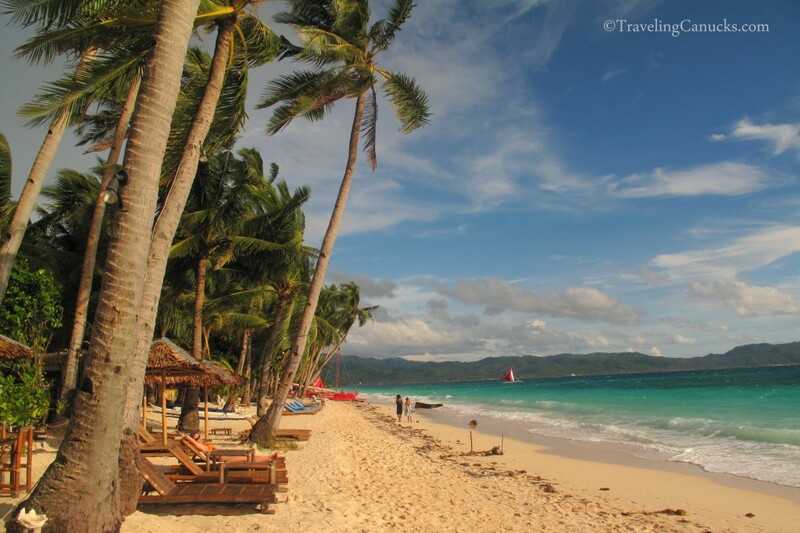 Borocay is great, add it to your list! It’s quite touristy, but it’s still got lots of character. We give it two thumbs up! 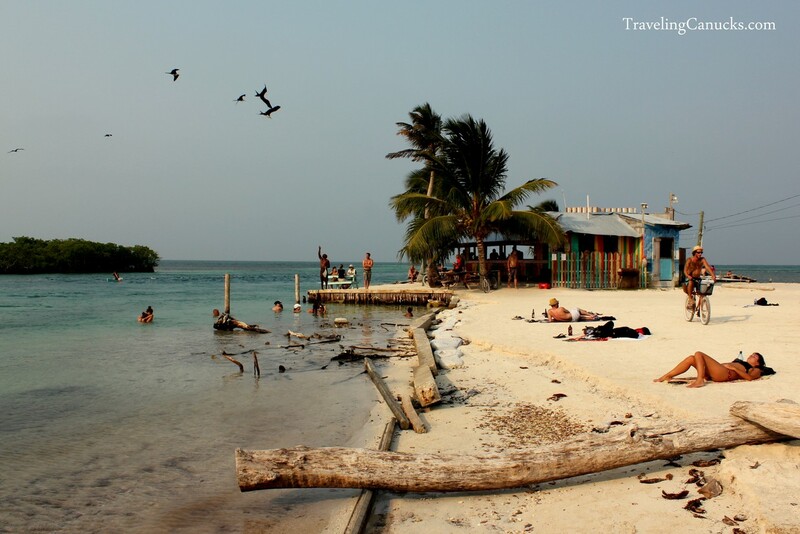 Anywhere in the Maldives, and Providence Island in Colombia. Great photos, makes me really want to be on a tropical beach right now! Ooooh yes, the Maldives are super high on our list, as is Bora Bora. We hope to make it there soon! We’ve been to 7 out of the 22 so far! 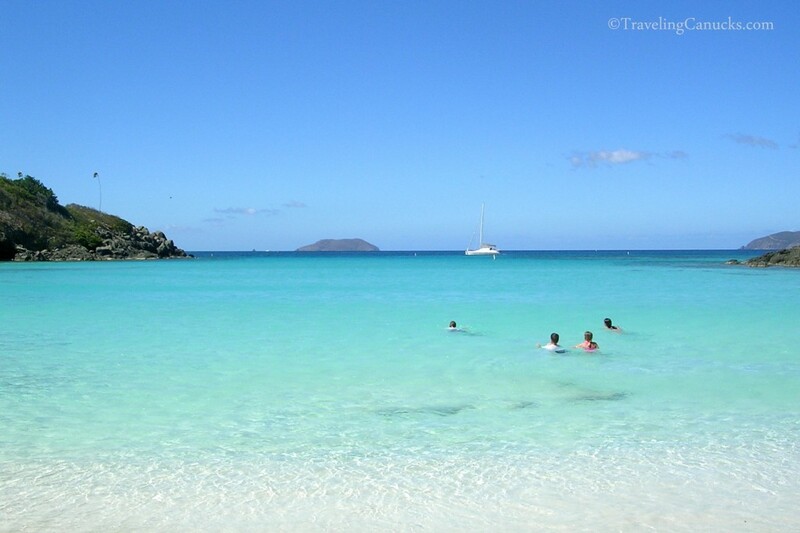 But plan on adding 6 more of these beaches on our RTW trip! The only one I would add to list is Seven Mile Beach, Jamaica! Great list, warmed me up! We’re glad the post warmed you up Hannah! Have fun on your trip. Come back and let us know which beach was your favourite! Dahab, Egypt is one of our fave places in the world. So amazing!!! We have not visited Turks and Caicos yet but have heard great things. We hope to visit a new Caribbean Island next year… Dominica or St Kitts are the front runners, but T&C is high on the list! I love Thailand and its beaches. This is the best list of beaches for me to travel.